This all-fiction workshop is a Philly institution. 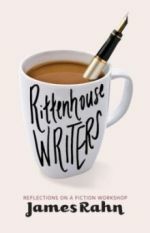 The Rittenhouse Writer’s Group has been around since 1988, meeting in the Philadelphia Ethical Society building right off of (you guessed it) lovely Rittenhouse square. I’ve participated in two sessions. Each session is eight weeks long, and each of the twelve participants gets two opportunities to have a story (up to 7,500 words) workshopped. Two or three stories are discussed each week. James Rahn leads the workshop and handles stories with insightful, probing criticism and good humor – as in any good workshop, a fair amount of time is spent by writers cracking each other up. The focus is on literary fiction, be it an experimental short-short or excerpts from a realist novel, but sci-fi/speculative fiction and other genres are welcome, too. I enjoyed the range of ages represented in the workshop, and the fact that most everyone is game for a beer and maybe some steak frites at a local pub afterwards. After a few years of post-collegiate malaise, this workshop really got my writing back on track. The first time I submitted work to the group last summer, I was in an experimental phase, reading lots of Lydia Davis, and turned in 3 very short sketches rather than a traditional story. My work was taken as seriously as any novel chapter, and the group seemed to focus most on one particular sketch, encouraging me to take it further and flesh it out. Well, after a couple of rewrites and a word-by-word critique from James, as well as advice on good places for an, ahem, “emerging” writer to submit, that story is now forthcoming in the next issue of the Indiana Review (I’d be grumpy that their website still only has info about the Winter 2010 issue, but as a fellow lit mag editor I have to sympathize). The story also got me into an MFA program. How’s that for empirical evidence?